Paint with your hands. Feel with your brushes. 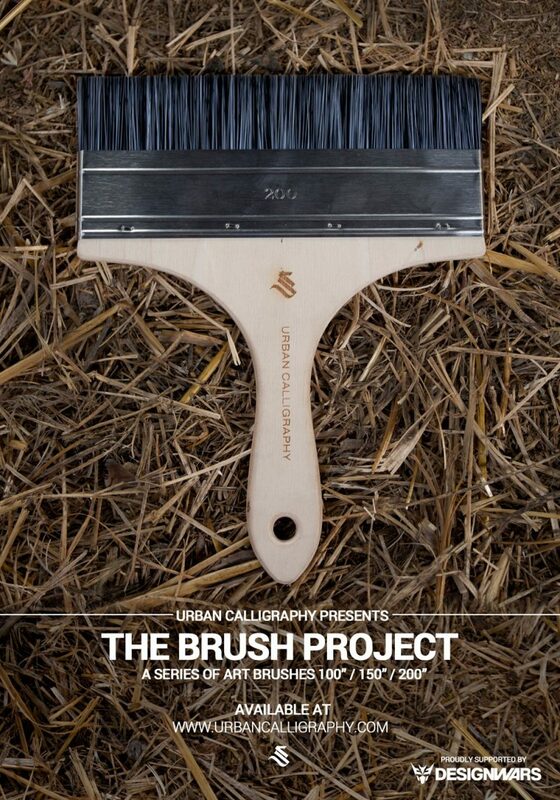 A set of brushes that redefine the calligraphy movement and enhance artistic expression. that embody the combination of superior skill and craftmanship required to turn your vision into reality. Urban Calligraphy has redefined the boundaries of the global calligraphy movement, through a single-minded dedication to free artistic expression and inspiration.The series of calligraphy brushes you will have in your hand, designed for hard surfaces, embody the combination of superior skill and craftmanship required to turn that artistic vision into reality. Simon Silaidis, the creator of the Urban Calligraphy movement, has been instrumental in articulating a brand new calligraphy experience, not restricted by traditional working media but rather open and expansive to varied influences.